Bere Regis Sports Club is a community facility and as such is available for hire at certain times. There are some restrictions though. The football and cricket pitches are regularly used by club based teams and to preserve the quality of playing surface hiring of pitches is limited to a small number of ‘one off’ events. With regard to social facilities, we need to be aware that as a members club it is not possible to restrict the bar to private events on a regular basis. When considering requests for use of the social area we need to be aware of team fixtures and likely use of the bar by members. 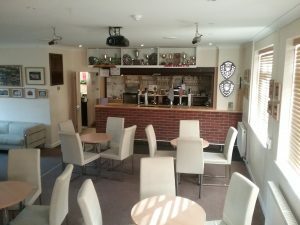 With all of this in mind though, it is possible to hire the club facilities, either the new or old clubhouse, for events such as meetings, birthday parties, funeral wakes etc. Hire charges depend upon the length of time involved, facilities required, whether or not the bar is used, time of day, day of the week and whether or not the principle hirer is a club member. Please note that questions marked * must be answered. If the form does not submit it may be that you’ve missed a question that requires an answer.